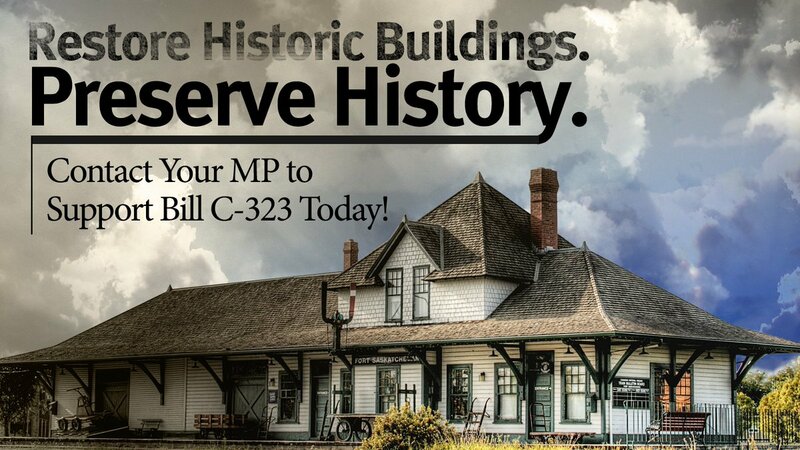 By a vote of 150 to 140, Bill C-323, which would create a tax credit for the rehabilitation of historic properties, passed Second Reading in the House of Commons last Thursday. Wow! But as the numbers show, there is still a ways to go. And if the bill ever gets to Third (final) Reading and the vote is whipped — with members required to vote as directed by party leaders — as is likely, there is farther to go still. Given some of the Liberal MPs' speeches at Second Reading, it’s not surprising at this stage that the two cabinet ministers most closely interested in the subject matter, and who received direct entreaties urging support of the bill (and were copied on most of the MP correspondence), did not vote for it. Finance Minister Bill Morneau was not in the House at the time. (He was busy selling the budget he’d brought down the day before.) Environment Minister Catherine McKenna, who would be the minister responsible for implementing the legislation should it ultimately pass, was there — and voted no. With the bill off to committee, there is time to change minds. Or really just one mind … the government’s. Whatever happens later, at least the bill is ensured a favourable reception. Every member of the Environment Committee voted for the legislation at Second Reading! (The one exception was Mr. Amos, who did not vote.) And two of the Liberal members, Mr. Gerretsen and Mr. Aldag, spoke fervently for the legislation at Second Reading. The role of the committee? To review the actual text of the bill and to approve or change it. Usually the committee will choose to hold public hearings. With a private member’s bill, the practice is that the first witness to appear before the committee is the member — here Mr. Van Loan. Other witnesses/presenters may be invited to express their views on the bill, including individuals, experts or representatives of organizations that would be affected by the legislation. Committee members get to question all of these folks. Will Environment Minister Catherine McKenna appear before the committee? If so, what will she say? At committee a bill undergoes close scrutiny. So it’s high time to probe the details of this landmark policy initiative. For next time. Note 1: To check the vote tally and see how your MP voted, here is the link to Hansard for March 23, 2017 (scroll down to Private Members’ Business): March 23 vote. Note 2: 292 = 150 + 140 + 2 (two MPs abstained in the vote on the bill). There are 338 seats in the House of Commons but five are currently vacant. The robust attendance in the House on March 23 may have been owing to the vote on Liberal MP Iqra Khalid’s contentious Islamophobia motion, which took place immediately after the vote on Bill C-323. Note 3: Opposition members supporting the bill included several Bloc Québecois MPs and Green Party Leader Elizabeth May. Note 4: The two Second Reading debates can be found here: first hour and second hour. Scroll down to Private Members' Business. Note 5: The House rules provide that any MP may attend standing committee meetings, question witnesses and participate in the committee’s public proceedings, although non-members can’t move motions or vote.